Disclosure: We received free product to facilitate our honest review. No monetary compensation was received. Sponsor responsible for prize fulfillment! Our family has been trying to eat healthier for a while now and we are always on the look out for something that peaks our interest. We want to eat things that are good for us, but we do not want to sacrifice taste. Is that too much to ask? I think NOT! Our newest find is MacroBars by GoMacro. They offer sustained energy for a balanced lifestyle and are made with infant-safe brown rice syrup. These delicious bars are jam packed with nutrition! Have you tried them? The Banana + Almond Butter is missing because Chefy ate them all! Everyone in our family sampled and enjoyed these bars. Kat took one with her every day to snack on between her exams. She got the energy boost she needed without the crash from junk food. She loves them all and she ate all of the peanut butter chocolate chip before I could get even a bite! I love the Apples + Walnuts, and Chefy, like our daughter, loves them all! 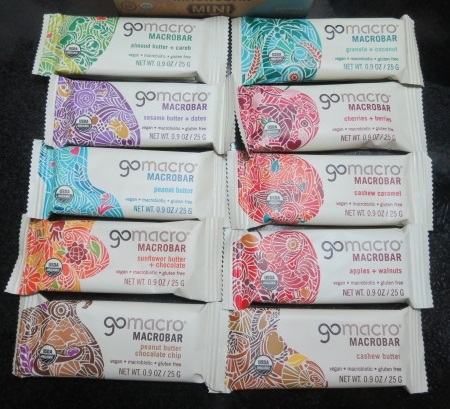 You can learn more about GoMacro MacroBars by following them via twitter, facebook, pinterest and instagram! Want to try them now? Go to https://gomacro.com/shop/ and enter code “BLOGGER” at checkout and you’ll get 40% off your first order! Would you like to try these bars for yourself? 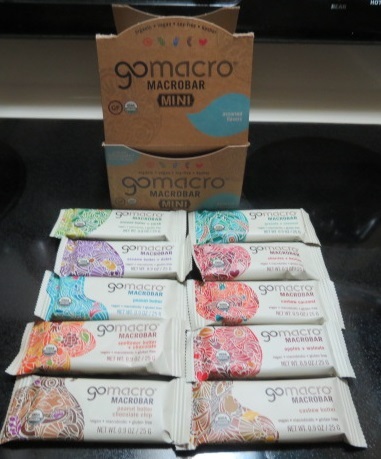 One lucky Shelly's Bits and Pieces reader will win a GoMacro MacroBar Mini assorted box! Simply enter on the rafflecopter form below. Banana + Almond Butter is the flavor i would buy! I would love to try the peanut butter. Love these! My fave is sunflower butter and date... also granola and coconut... well heck... I like them all! I would love to try the Cherry & Berry one - that looks yummy!! I love that companies are coming out with these great products that are safe for those who have problems with allergies, etc. sesame butter and dates sound wonderful. cashew butter sounds delish! thx! Cherries + Berries or the Peanut butter + Chocolate chip both sound amazing....actually they ALL do! I absolutely love healthy snacks that not only look good, but taste great! The granola and coconut sounds delicious! I'd try peanut butter chocolate chip. I want to try cashew caramel. Cashew Caramel sounds so yummy!